Everyone knows that Corgis are the Queen’s favourite breed, but did you know that they are one of LoveMyDog’s creative director Lilly Shahravesh’s too? 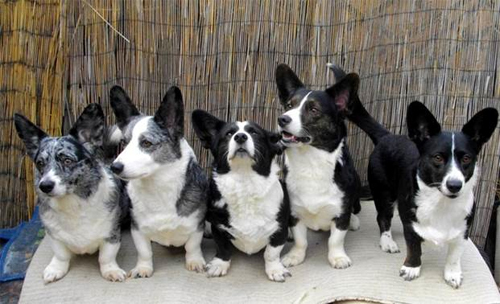 We were recently sent this great photo of 4 generations of Cardigan Welsh Corgis by owner Loretta. Lilly was so impressed with all of Loretta’s dogs that we decided to give them a special birthday treat each.